Search "travel" 4 results have been found. 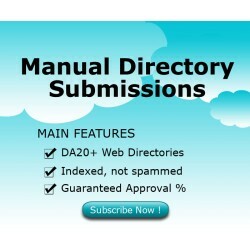 500 manual submissions to high quality, human moderated, DA20+, indexed, no same IP network farms, catalog websites mixed with specific submissions to travel niche directories, business directories and local directories. Get listed in high quality travel niche directories relevant to your sites' topic/industry, for this package is travel / tourism.